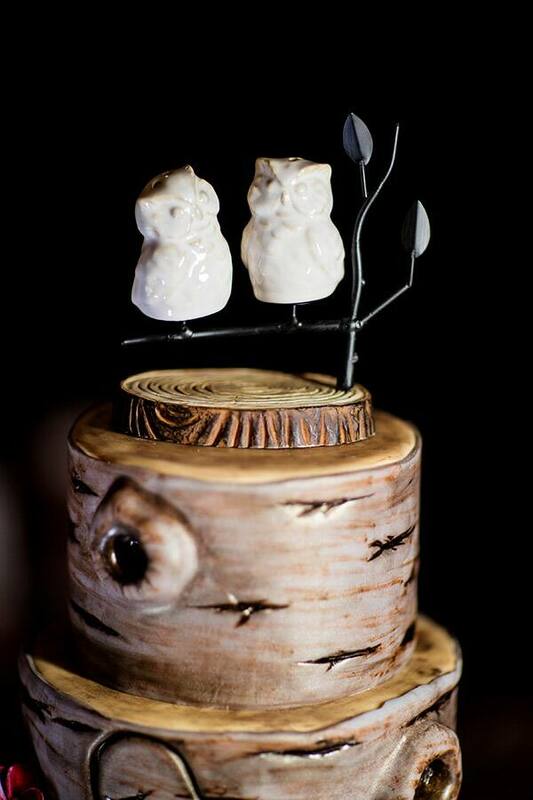 This woodsy inspired cake is topped with the cutest little owl cake topper. 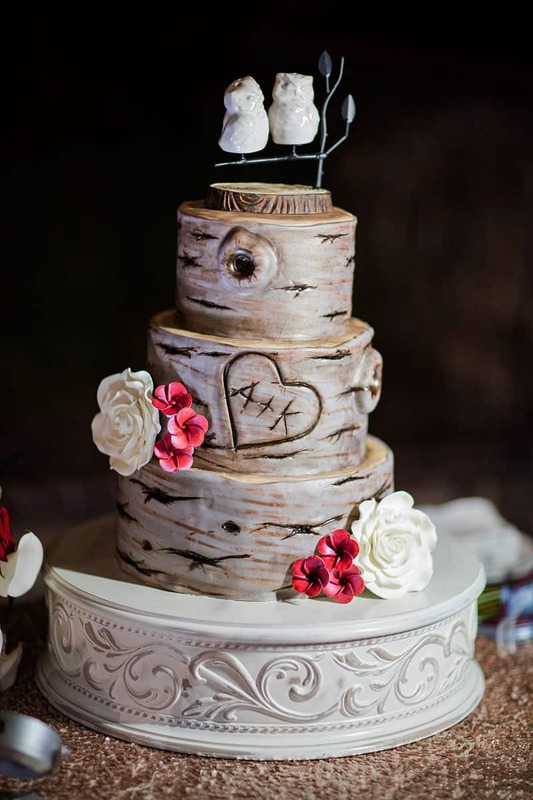 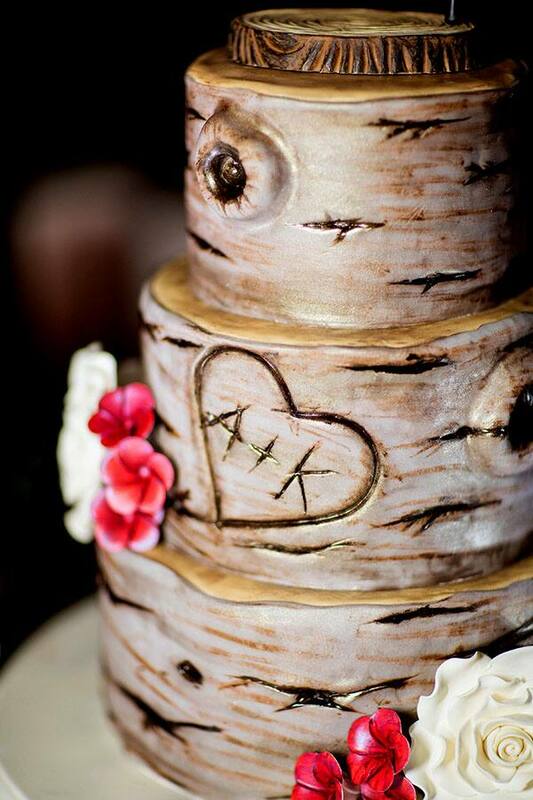 The three tiers resemble the outside of a tree: all full of knotholes, scratches, and even the engraved initials of the wedding couple! 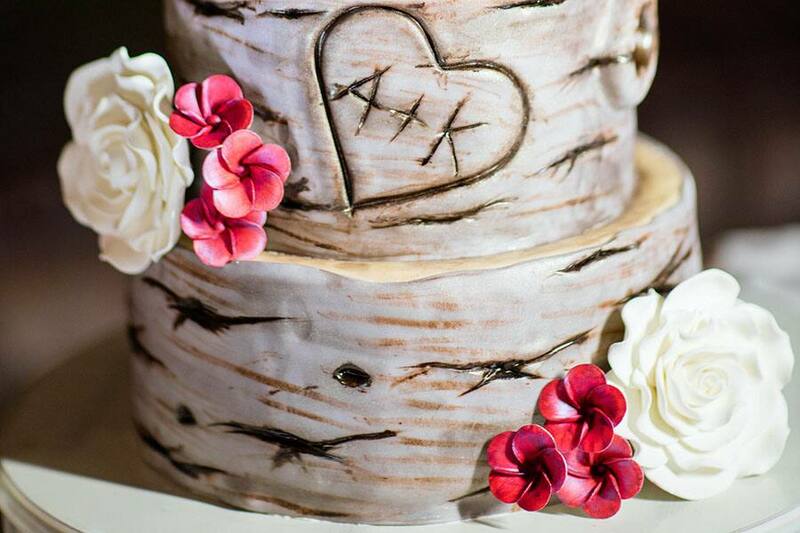 Pristine sugar flowers add some color and elegance to the design, while still letting the beauty of the details truly shine.